Vanity | Officina In s.r.l. 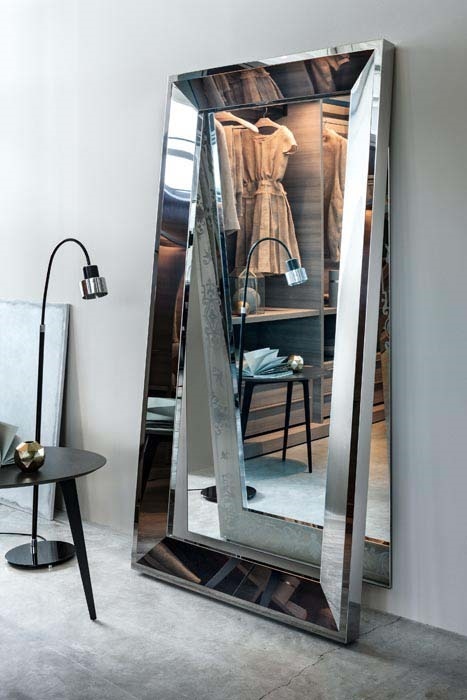 Of fairy-tale inspiration, Vanity plays on tilted surfaces to create reflective effects. One element of the large frame in polished stainless steel leans against the wall. The mirror reflects the human form within the decorated frame that is silkscreened in a classical style.